Broadening your horizons is more fun when it doesn't involve shrinking your wallet. Pick up a new skill or feed your mind with these completely free classes in Melbourne. Beginner's classes at the Salsa Foundation are free. Learn the basics of salsa dancing at The Salsa Foundation's free half-hour beginner classes. It doesn't matter if you have two left feet, and there's no need to bring a partner along for your first foray into Latin dance. Learn a few steps and meet other adventurous people keen to pick up some funky moves. The Salsa Foundation runs beginner's classes in the city every Wednesday and Thursday evening at 6pm. You can go along to as many beginner classes as you want, but booking is essential to reserve your spot. Imagine yourself doing this, at the aesthetically questionable Fed Square. 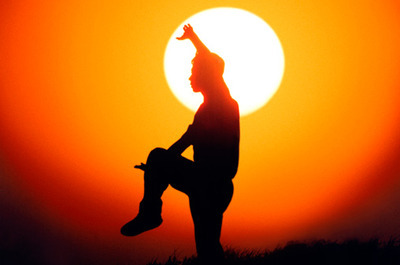 Image from Tai Chi Australia. Every Tuesday morning at the ungodly hour of 7:30am, a free Tai Chi class from Tai Chi Australia takes place at Federation Square. The class finishes at 8:30am, giving city workers half an hour to get to work after a relaxing spot of early morning stretches. The classes are usually held in the refreshing morning air, but is never stopped by wet weather as the Atrium space is used on rainy days. For those keen to try Tai Chi but not so sold on making an early morning trip to Fed Square, Tai Chi Australia also offers one free beginner's class at various locations around Melbourne. The Melbourne Free University runs free courses on a variety of topics. University is expensive, can be hard to get into, and revolves around constant assessment. If you want to learn for the sake of learning in your own time, and are not interested in getting qualifications, try the Melbourne Free University. There are no entry requirements, no charges and no tests at the Melbourne Free University. You don't even have to register. All you have to do is turn up to the talks that interest you. there are weekly seminars. Each seminar consists of a 45 minute presentation followed by a 45 minute session in which attendees are invited to engage in a group discussion. Previous courses have included On Language, The Law of the Land, Australian Indentities?, Activism, Activists and Change and many others. If you're interested in learning more about topics they've already covered, recordings of previous presentations are provided on the Melbourne Free University website. Founded in 2010, the Melbourne Free University is entirely a volunteer effort where no money changes hands. All venues used have been offered free of charge and all lecturers have donated their time. Laughter Clubs are a volunteer-run initiative that gets you giggling without the aid of any humour. Having a good belly laugh is healthy for you and is a perfect pick-me-up on days when you don't even feel like cracking a smile. Laughter Clubs are a not for profit initiative, with dozens of locations around Victoria. Contrary to what you might expect, there are no jokes told at Laughter Club sessions. Instead, participants laugh at nothing at all. Each class is run by a trained Laughter Yoga Teacher, who guides participants through laughing exercises, and yoga-based breathing and stretches. Classes go for half an hour each, and are totally free of charge. Why? To learn something new without having to bring out your wallet. Where: Various locations throughout Melbourne. "Renascent College" offers your first class free in Qi Gong on Wednesday evenings, Friday mornings and Saturday mornings. On Fridays at 11am there is also group healing and you can just turn up as you like. Online classes which are completely free are "Alison"
where they offer a wide range of classes. Brasserie Bread holds free baking classes every Saturday at 10am at the South Melbourne bakery for kids.